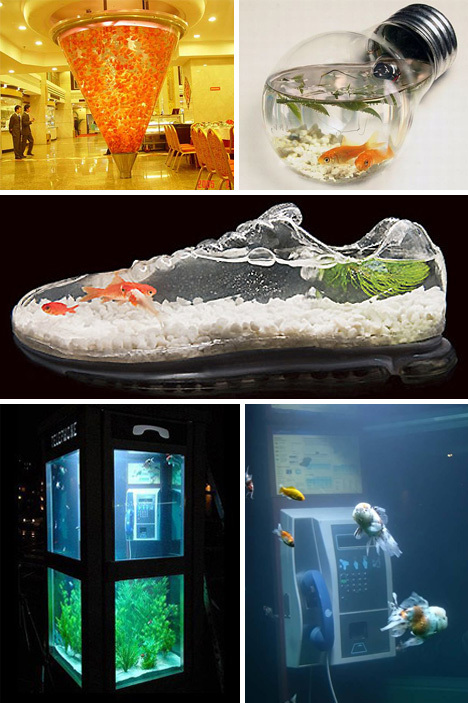 True aquarium aficionados know a beautifully designed fish tank can be like a work of living art. 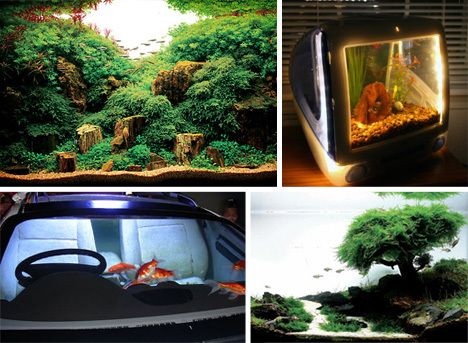 Now it’s time to spread the word, starting with 24 of the wildest aquarium set ups to ever grace a living room (or garage, for that matter). Don’t toss the old computer away yet, as there’s still some use it can be put to. Seal it up tightly enough, and there’s a ready-made fish tank perfect for a goldfish or two. 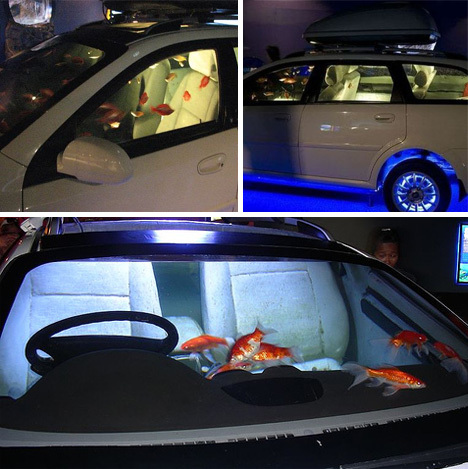 Not all fish tanks have to be a boring cube. 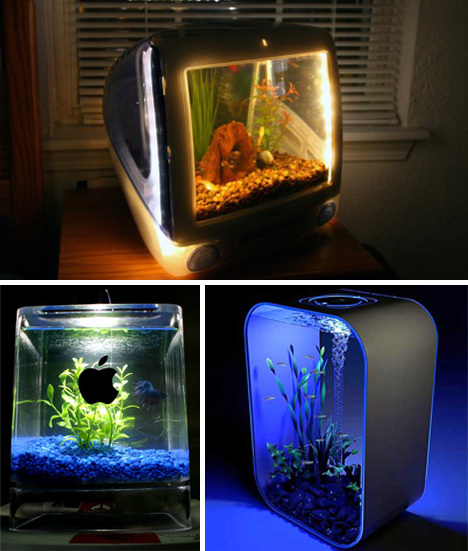 Some of the most interesting aquariums share a unique shape or overall design that defies expectations. 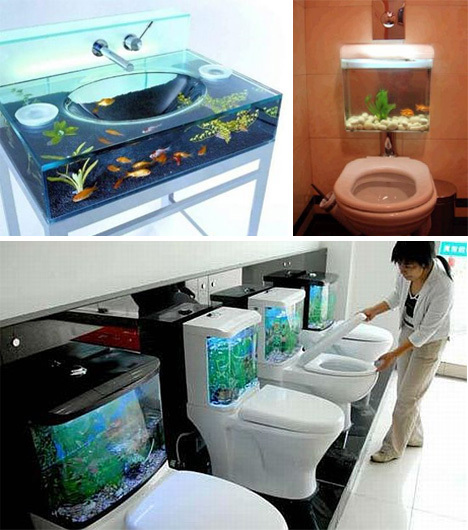 No fish were harmed in the making of these bathrooms… we hope. One must admit there’s something wonderfully modern about incorporating a little bit of nature into the restroom experience. It certainly would not make keeping it clean any easier, though. 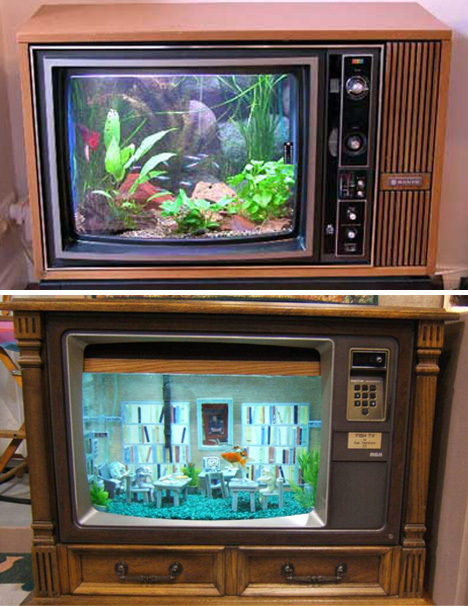 One of the best ways to recycle an old television is to start a new show starring your favorite fish. Large, old fashioned, televisions are perfect for this, as they have are roomy and have the structural strength to hold a decently sized tank. Takashi Amano is a well-known aquarium artist who is able to make otherworldly scenes underwater. With even more precision and care than the most obsessive landscape artist, Takashi sculpts his aquariums into living pieces of art that look like microcosms of a much larger space. If the idea of having a giant tank shoved up against the wall of the living room isn’t an appealing one, don’t give up yet! 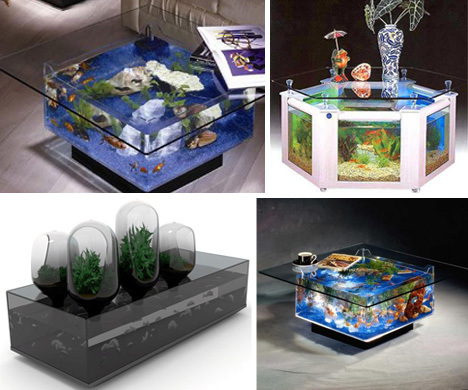 There are plenty of companies that make gorgeous aquariums that can be incorporated directly into a home’s furnishings. Replace the worn coffee table with something a whole lot cooler! Aquaman would love to have this car in his driveway, though it’s difficult to imagine anyone else getting much use out of it. This car makes one think differently about sitting in traffic behind all that glass, doesn’t it? 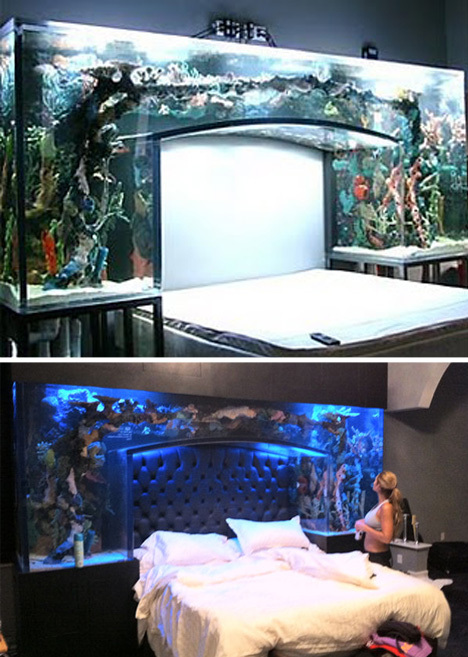 This custom bed aquarium is surely something to behold. There are few things that would be as relaxing as staring up into a gently lit aquarium while drifting off to sleep. 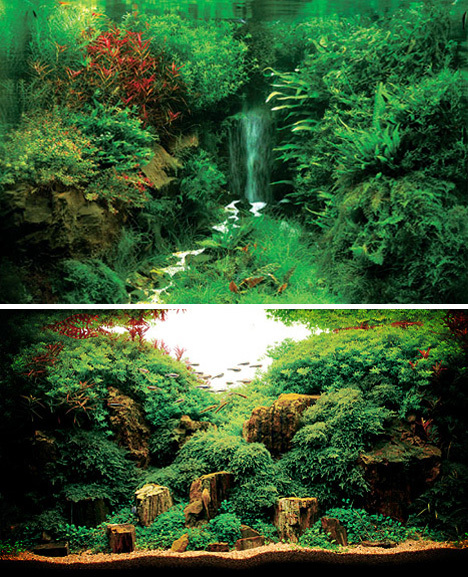 Some aquarium artists expend a lot of effort making every detail seem natural, like a landscape seen from far away. If fish weren’t swimming amongst the plants, it would be difficult to distinguish these fish tanks from an image of a tropical paradise.